Keep the children home alone for the first time or want to keep an eye on the thuin or garage. With the WiFi Baby Monitor / Camera movement of Cleverdog this is no problem. 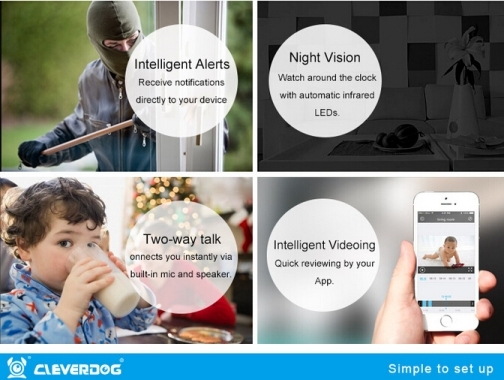 You can set the Cleverdog that detected movement will give you a call. (buzzer, siren, and even a barking dog) In addition, there are pictures (3x) and made a short video. For video, you need a memory card. Click the left image to play the demo movie.